So now your sewing room is organised and you can see what’s in there – now I know the joy is in the journey not the destination BUT your job for today is to unearth your UFOs – all of them! Now I’m not talking about the magazine pages you marked with little Post-it notes while you were reading and decided to make-that-when-I-get-a-chance (or is that just me?). I’m talking about the unopened kits that you bought at the last four Craft Shows – the ones in the basket under the spare bed (just me again?). Also the half-done quilt tops, tablerunners, bags and other major works buried at the back of the cupboard, in the to-be-done bag or in their own dedicated plastic tub (you know who you are). Today get them all out and make a list – maybe it’s a big list – even better. Maybe you’ll have new projects that you don’t yet know about (even though you promised yourself you weren’t buying anything else from the Craft Show until you finished what you had). They won’t be on your list now but we can always add a supplementary list for newcomers. 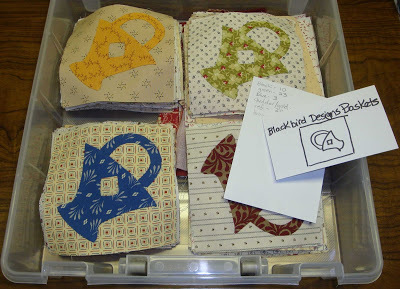 I like the AllPeopleQuilt challenge here but there is only space for twelve projects and I might need more or maybe less. This challenge only works if there’s twelve exactly. So I’d like to be a little more flexible than that. As I see it we should be celebrating every time we finish a UFO – even if it hasn’t yet been identified as unidentified! Sounds a bit existential doesn’t it? 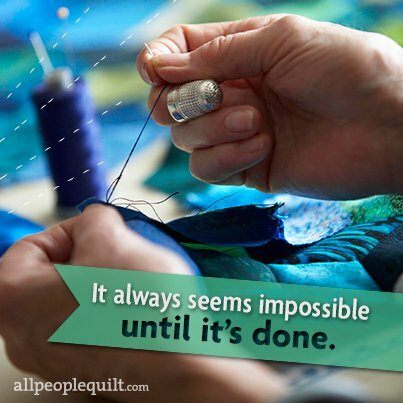 This is why I like to add your projects to the Gallery and mine too – so we can all celebrate when things are DONE. Why don’t you just make a list of all your projects from the itsy-bitsy-teeny-weeny to the oh-my-God-is-that-even-possible with the option of extending the aforementioned list should subsequent projects identify themselves during the course of the year? Much simpler. Then we can have a celebration at the end of the year. Maybe we should have an end-of-year prize for the most UFO’s – or maybe we just all give ourselves a pat on the back for finishing what we can? 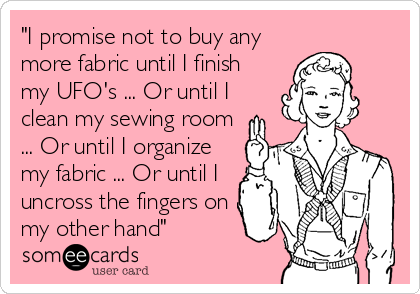 So rifle through that organised sewing space of yours – right now – and get out your UFO’s. Make a list with the details of each UFO and where it’s up to then send me a copy too (send it to kaye@apatchyquilting.com.au). Use this 2015 UFO Challenge form if it helps. We’ll keep a tally of the number of projects my clever Apatchy people finish during 2015. 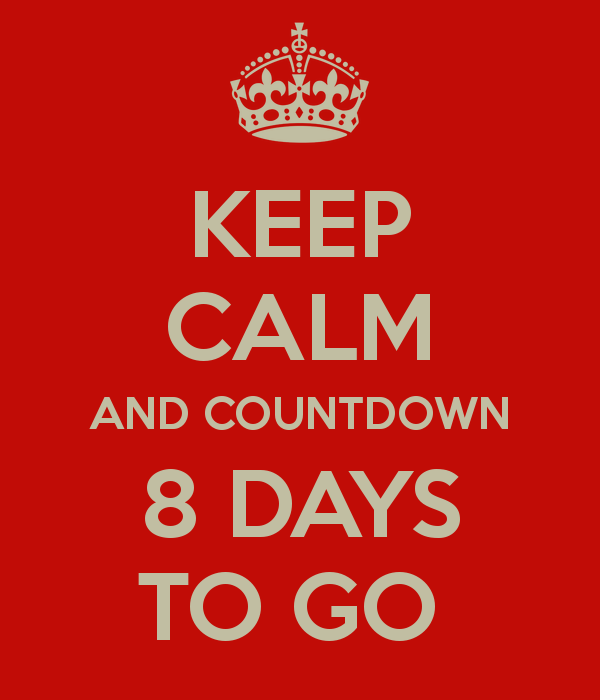 This entry was posted in Organise, Tips, UFOs, Uncategorized and tagged Countdown, Tips, UFOs by Apatchy Kaye. Bookmark the permalink. Will do , looking forward to the year ahead, wont be doing Wed night but all the other times.Sorting my ufo’s right now!!!!!!!!! Great inspiration, Butttttt this is going to be a scarey exercise. Not sure the shops have enough storage boxes for all my UFO’s. The main prob is where to start. It’s good to have u back. Thanks for your organisational ideas. Aghhh I am having so much trouble returning to Fiesta Mexico. I am enjoying just playing at the moment. lol..